The Gerber E-Z Out DPSF has a practical design and rugged lockback mechanism for safe us. It features a premium S30V steel blade with elongated thumb hole opener. Jimping along the spine of the blade provides traction in alternative cutting positions. The black handle is made of a fiberglass reinforced thermoplastic and fitted with Kraton strips for a superb grip. 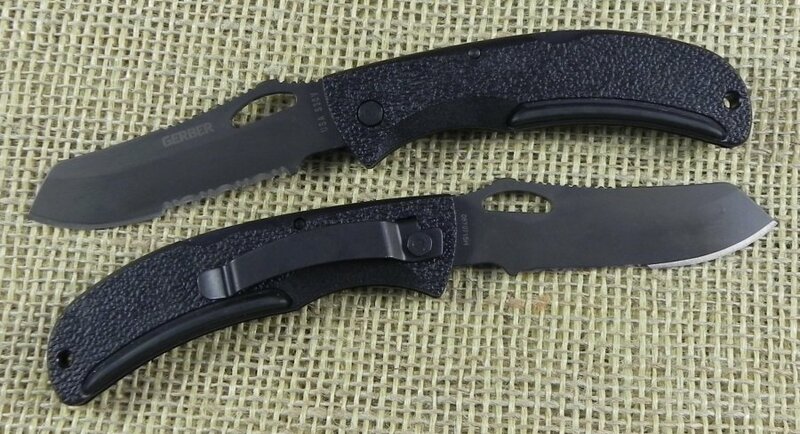 The tip-down clip makes this a great everyday pocket knife or something to clip on to other gear.